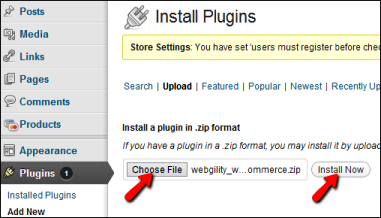 As soon as you click continue, you would be asked to download and install the Webgility Store module. Click 'See Help Docs' for further instructions on this or scroll below. 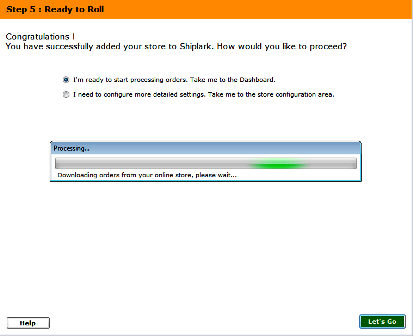 Click continue, once the module is installed. 1. 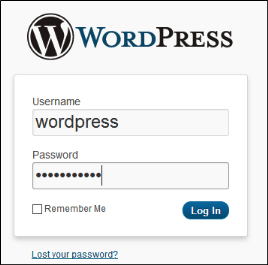 Login to your Wordpress store admin area. 5. 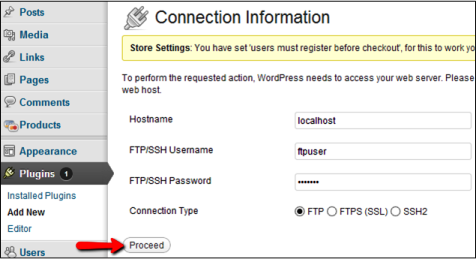 Enter your FTP Connection details and click on ‘Proceed’. Note: If you do not know these FTP details, please contact your system administrator or Hosting company. 6. 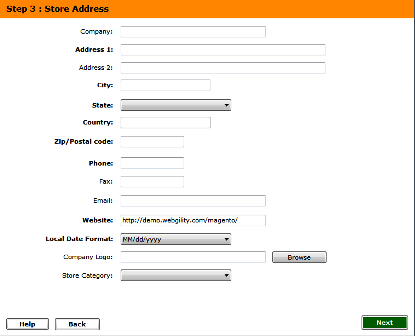 Your Webgility Store Module is now installed and you would see the below screen. 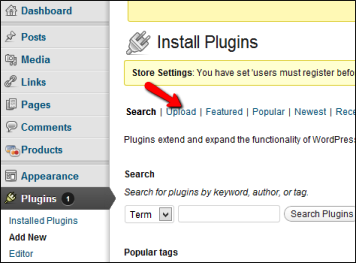 Click on ‘Activate Plugin’. 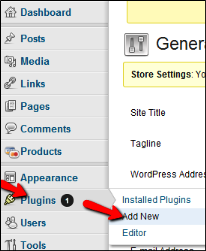 Once the module is installed and you have put in the module URL, put in the admin details to the store and click 'connect to store'. 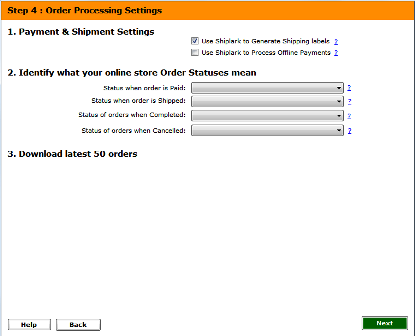 Upon successful connection, Shiplark would begin downloading data and settings from the online store.